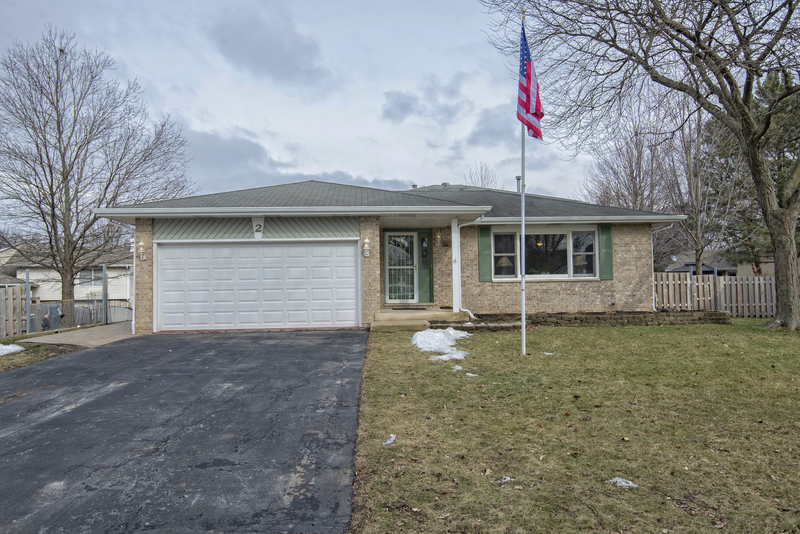 Beautiful, well maintained Split level with a finished sub-basement. Home is located in a quiet cul-de-sac with a quarter acre lot. Huge fenced in back yard with concrete patio and overhang. New siding installed 3 years ago. Perfect move in ready 4 bedroom 2 bath with den is ideal for any growing family. The main level features wood laminate flooring and new carpeting on the lower level. Entire home has been freshly painted. Spacious 20x13 living room and a great entertaining 16x22 family room with a wood burning stove which is capable of heating the whole house throughout the winter. Kitchen has an amazing island that can seat 4 or more for dining including SS appliances. In the finished basement you will find a large 15x12 bedroom and plenty storage space.